A must click for the full view on this one! Stunning scene, E.J. 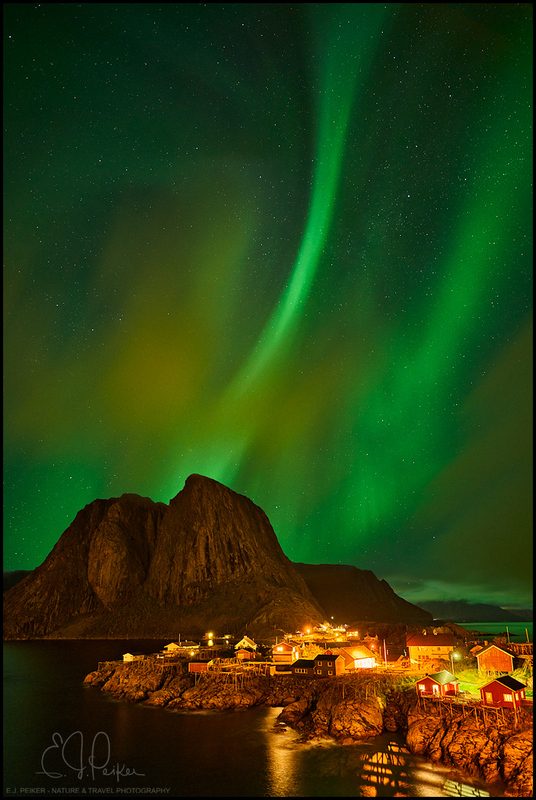 The aurora and the settlement lights complement and balance each other beautifully. I wish I could have been there to witness this phenomenon. A superb capture as always. Nice composition of this dynamic light in the sky with the static rock. I really like this. Amazing Northern Lights.